Advertise your Cornish business with All About Cornwall. If you have seen us then others will see you! Our aim is to provide a package to suit your needs. Contact us at enquiries@allaboutcornwall.com for details and suggestions. We work hard to promote our advertisers and would love to work with you! 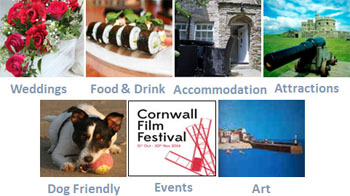 You can have a Business Listing in our Eating Out, Attractions Accommodation, Weddings, Art & or Dog Friendly Sections. Together with your own business web page with text, images, contact details and links directly through to your website. 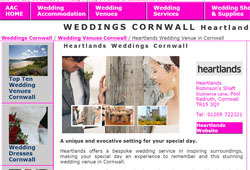 For wedding venues and those of you providing great wedding related services we have a dedicated Weddings Guide where you can showcase to prospective Brides and Grooms planning weddings in Cornwall. A well placed image, box Ad or large top of the page ad displaying your business details - we can put a package together to suit your needs. If you are a new advertiser we are often able to offer special introductory offers so please contact us to find out more about advertising your Cornish business with us. Please view our Advertising Terms and Conditions here. 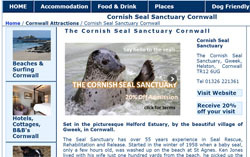 Well placed images representing your business can appear throughout the site with text linking to your own allaboutcornwall web page.